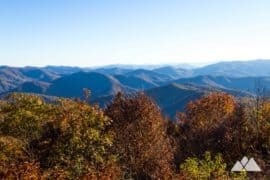 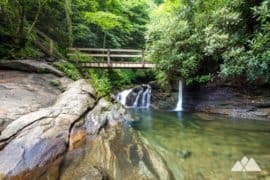 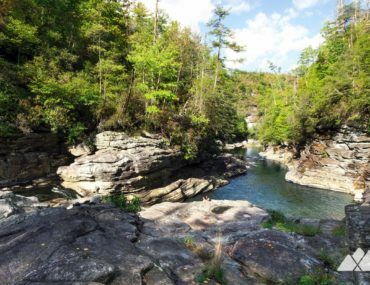 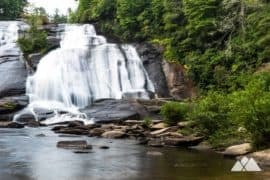 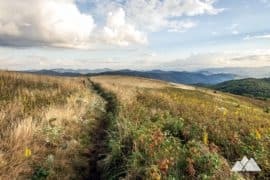 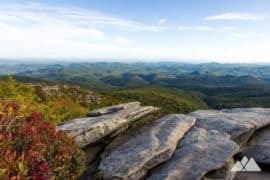 Hike or run through some stunning landscapes in western North Carolina, and get a great workout, too! 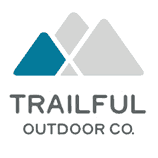 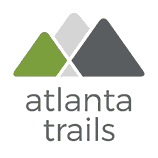 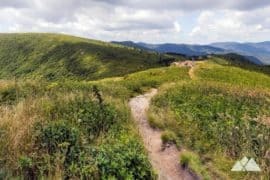 These difficult trails explore some challenging terrain, but reward the effort with remote wilderness and exceptional views. 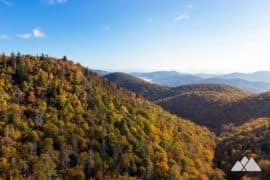 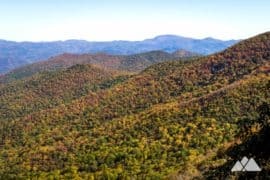 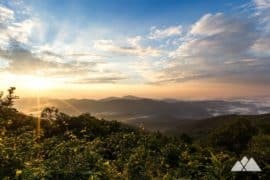 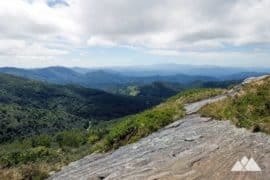 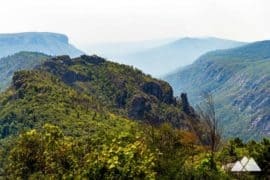 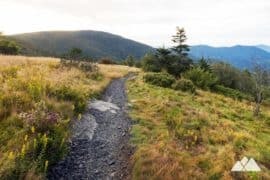 Hike to the summit of Blackrock Mountain, climbing from Pinnacle Park in Sylva and catching breathtaking vistas of western North Carolina’s stunning Plott Balsam mountain range. 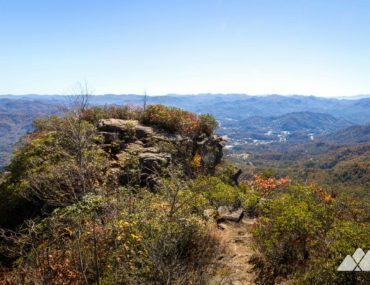 Hike the West Fork Trail at Pinnacle Park in Sylva, North Carolina, climbing to exceptional views from The Pinnacle, a high-elevation, knobby summit. 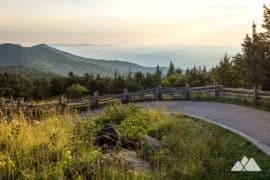 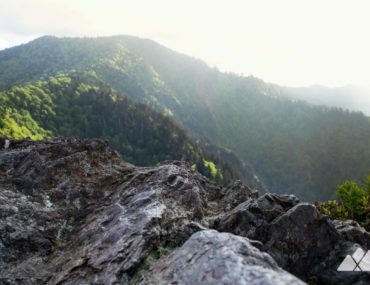 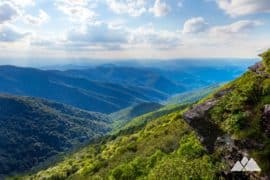 Hike the Appalachian Trail to Charlies Bunion from Newfound Gap, exploring some of the most dramatic and beautiful landscapes in the Great Smoky Mountains on this challenging eight-mile adventure. 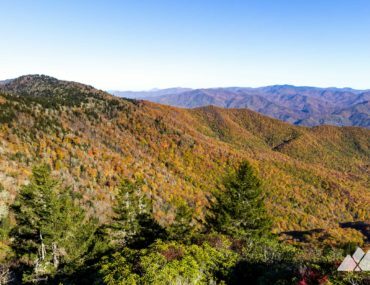 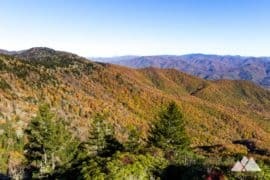 Climb to Mount Le Conte’s stunning landscapes and summit views, following the Alum Cave Trail and Boulevard Trail in Great Smoky Mountains National Park. 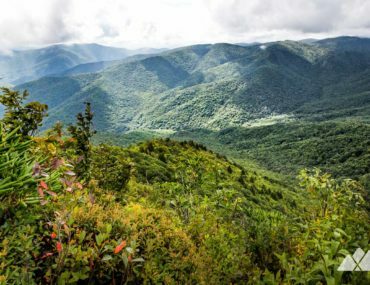 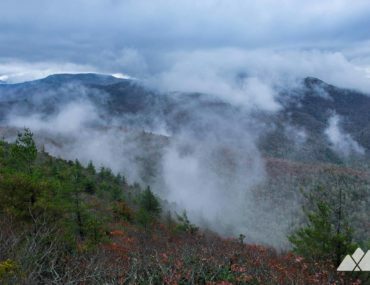 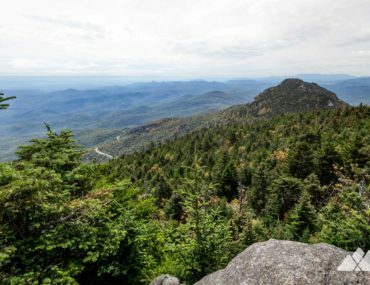 Hike the Yellow Mountain Trail to a view-packed summit, following a twelve-mile roundtrip journey on one of the most difficult trails in Western NC. 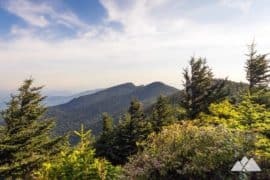 This tough adventure rolls over mountaintops, explores lush valleys filled with gnarly-branched mountain laurel, and visits a historic fire lookout tower, scoring a great workout along the way. 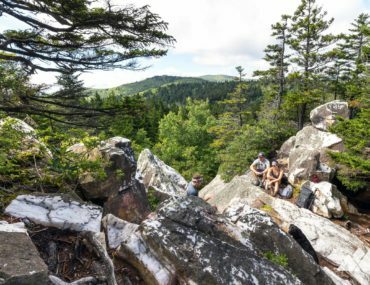 Hike the Profile Trail to Grandfather Mountain’s famous face-like outcropping, and climb a rocky, boulder-filled ascent to stunning views from Watauga View and Calloway Peak on the mountain’s lofty ridge. 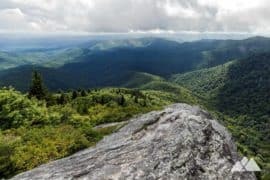 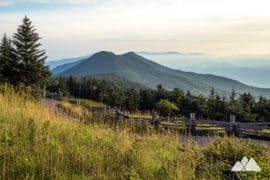 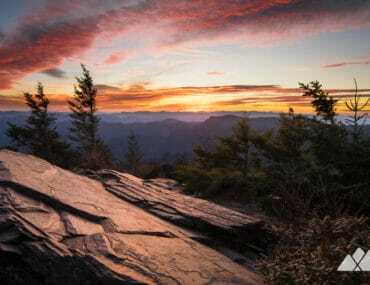 Hike to incredible, wide panoramic views from the summit of Whiteside Mountain, and then take a challenging hike to the sheer-sided craggy tower at Devils Courthouse near Highlands, NC. 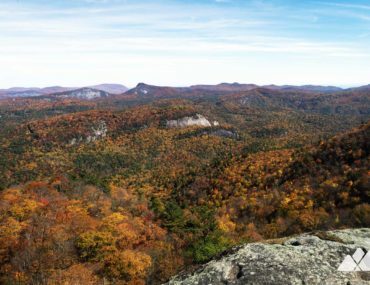 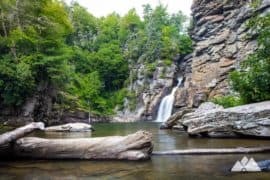 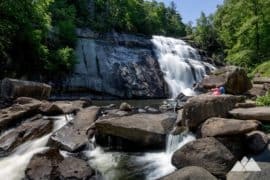 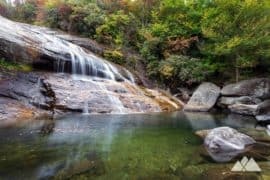 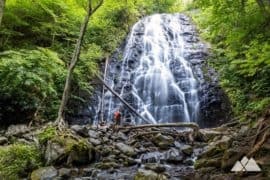 Hike an ultra-scenic three-mile adventure in Linville Gorge, dropping to the large stone spire at Babel Tower and rushing waterfalls on the Linville River.